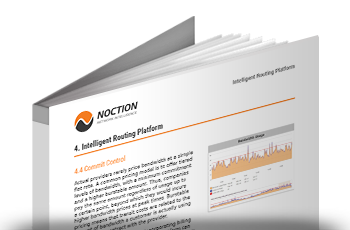 Learn how Noction IRP can help you boost network performance and reduce operational costs by intelligently rerouting traffic across the Internet. This research unveils the return on investment that a typical Service Provider achieves as a result of deploying Noction IRP in its infrastructure. 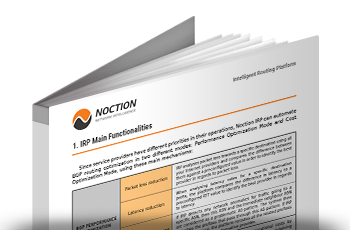 This document provides software and hardware technical specifications of Noction Intelligent Routing Platform. Learn how Hivelocity enhances overall network performance and minimized network downtime with Noction IRP. Wiredtree boosts BGP performance and increases troubleshooting capabilities with Noction IRP. Read how ATE, a French Service Provider, improves network availability and increases engineers’ operational efficiency with the IRP. 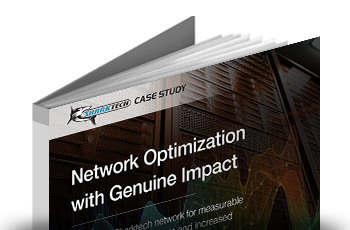 Noction IRP optimizes Sharktech network for measurable performance improvements and increased control over bandwidth utilization. Bandwidth.com achieves automated resolution of ISP degradation with Noction Intelligent Routing Platform. See how TETN improved its commodity internet service provided to the Education Service Centers in Texas. Noction IRP is helping DQE optimize their commodity Internet upstreams, while providing a custom route optimization solution for the Internet2 private partial peer for one client. Learn how ATMC gained optimal control over the inbound traffic by using IRP’s automated inbound commit control feature. 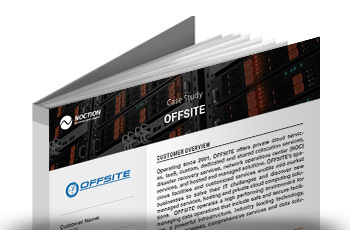 Learn how Noction IRP enables OFFISTE to deliver dedicated and reliable internet connectivity with no oversubscription and no route discrimination. See how TirePoint manages to spread its traffic load across all links to lower the 95th percentile billing rates and increase the headroom in its network. Learn how IRP helps Global Layer deliver on its fast and stable connectivity promise, boosting the company’s overall network performance. 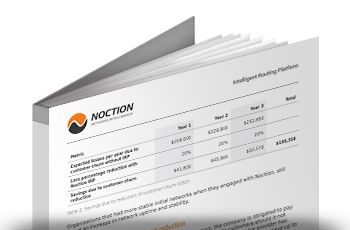 See how Noction helps a South African ICT solutions provider achieve outstanding network performance and engineering time savings. 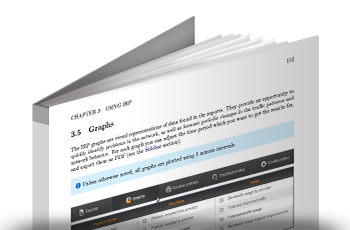 This document provides detailed instructions on how to install, configure and use the platform along with a full list of configuration parameters. 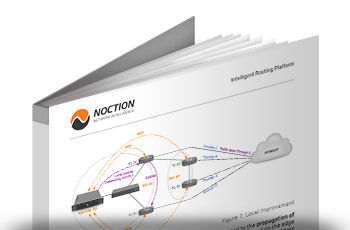 This document provides all the necessary instructions on how to install Noction Intelligent Routing Platform on your own. 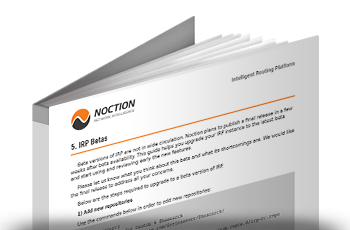 This document provides the list of hardware and software requirements necessary in order to install Noction IRP on the customer’s hardware. 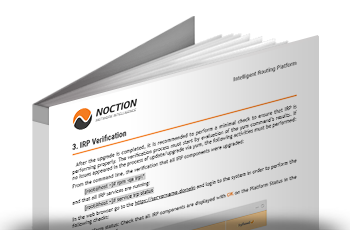 This document provides all the instructions on how to upgrade the Intelligent Routing Platform to a new version on your own. 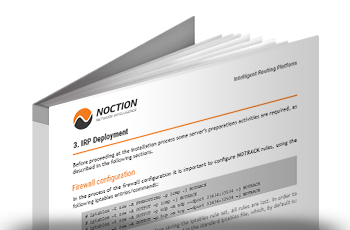 This document provides complete instructions on how to configure Internet Exchanges in Noction IRP. 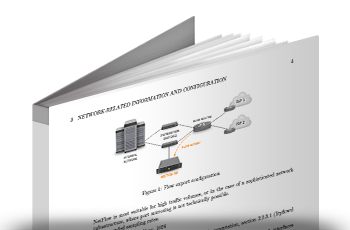 This document describes a typical implementation scenario of the Multiple Routing Domains (MRD) feature of Noction IRP. 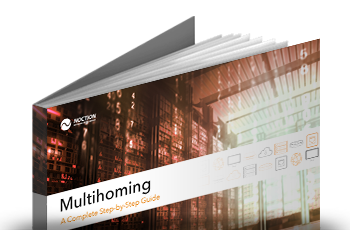 This document is intended to provide step-by-step guidance to connecting your network to multiple transit providers, a practice called multihoming. 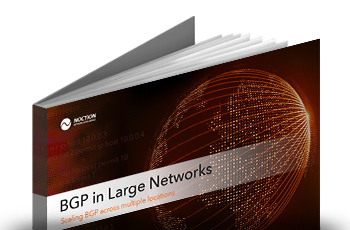 This guide provides the fundamentals and main considerations for implementing BGP in large networks with multiple locations. 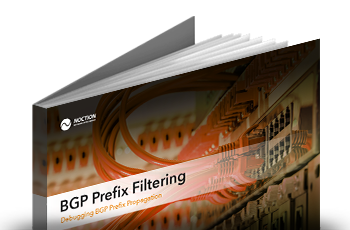 This eBook provides best practices and troubleshooting tips for efficient BGP prefix propagation. 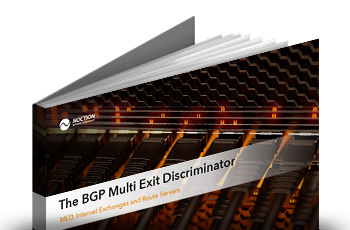 This eBook is intended to guide you through every aspect of the BGP Multi Exit Discriminator and how to use it with Internet Exchanges and Route Servers. The eBook provides helpful instructions on configuring internet exchange peerings by setting up a system which queries PeeringDB. 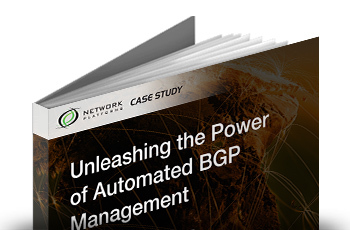 This eBook covers the AS migration process, shows the configuration of BGP AS migration mechanisms and their impact on the AS_PATH attribute. This eBook explains BGP Route Aggregation, a universal method to supersede a set of routes by a single general route. 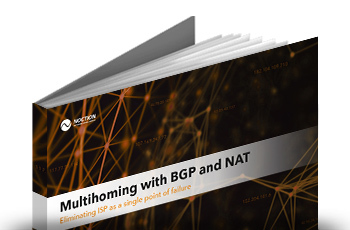 This tutorial presents a dual ISP with BGP – NAT Configuration, which ensures continuous connectivity, eliminating ISP as a single point of failure. 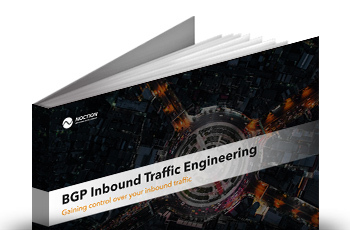 This eBook covers the most common manual and automatic methods (with configurations) that one can use to influence inbound routing to a multihomed autonomous system. This eBook discusses the role of NetFlow as a valuable tool for collecting IP traffic matrices that can be used for capacity planning. The report covers broadly used Tier 1 carriers performance results in the US and the general spread for the month of February, 2018. The report offers specific insights into the performance of major Internet Carriers for the month of March, 2018. 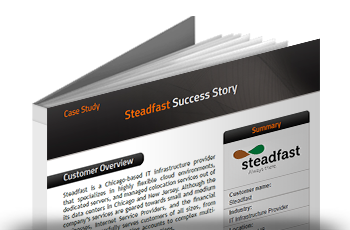 The report offers specific insights into the performance of major Internet Carriers for the month of April, 2018. The report covers broadly used Tier 1 carriers performance results in the US and the general spread for the month of May, 2018. 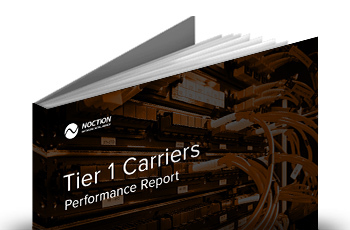 The report covers broadly used Tier 1 carriers performance results in the US and the general spread for the month of June, 2018. The report covers broadly used Tier 1 carriers performance results in the US and the general spread for the month of July, 2018. The report covers broadly used Tier 1 carriers performance results in the US and the general spread for the month of August, 2018. The report covers broadly used Tier 1 carriers performance results in the US and the general spread for the month of September, 2018. The report covers broadly used Tier 1 carriers performance results in the US and the general spread for the month of October, 2018. The report covers broadly used Tier 1 carriers performance results in the US and the general spread for the month of November, 2018. The report covers broadly used Tier 1 carriers performance results in the US and the general spread for the month of December, 2018. The report covers broadly used Tier 1 carriers performance results in the US and the general spread for the month of January, 2019. The report covers broadly used Tier 1 carriers performance results in the US and the general spread for the month of February, 2019. The report covers broadly used Tier 1 carriers performance results in the US and the general spread for the month of March, 2019.